Just Create: Contest Time! Free Jot Touch! My First Free Contest Give-Away! Subscribe today to Just Create by Email, so you don't miss any future contests. I will be giving away 2 free Adonit Jot Pros to 2 random people. The contest runs from now until July 31st. I will announce the two winners on August 1st. All you have to do to enter the contest is these two things. 1. Follow my blog publicly or add me to your Google+ circle. 2. Make a comment on my most recent blog post and include the words "enter me"
As of 2:00 pm June 21, 2013 this is NOT the most recent post. Don't leave a comment here. This is NOT my most recent post! 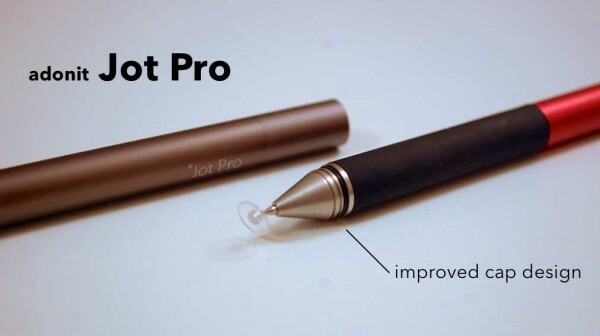 Edit July 27: I originally wrote this was a Jot Touch Pro, but the correct name is Jot Pro. Great blog, we enjoy reading your tutorials and how-tos! Please 'enter me' in your contest! Thanks. You are entered Andy. I don't have an iPad or need for a stylus other than my trusty Intuos but I'm following your blog 'cause I like it. Great resource! Thank you so much for the kind words. It's good to know it's helpful. It's good to hear some kind words as they keep me encouraged to continue to do this.